Blog Gifts, gifts, and more gifts? Gifts, gifts, and more gifts? Happy Friday! Here is the Holiday Heartfelt Moment for this week. Be sure to visit the blog each Friday in December for thoughts on how to make this your best holiday yet!. I often read the Becoming Minimalist blog. Whether you are a minimalist or not, they offer great tips and considerations on how to focus on what is really important. While this is important throughout the year, it is especially important during the holiday season. Today, I encourage you to take some time and think about what is important to you this season. What would you like to accomplish? 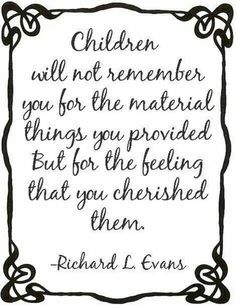 What do you want to see for your kids, spouse, loved ones? What do you want to remember? While you are thinking about this take a look at this article. While you may not agree with everything on the list, it may influence your thoughts about what is important to you this season. Many of these can be applied to other loved ones as well (and are much lighter on the pocketbook)! Being more aware of what is important to you is the first step in creating the positive memories that you desire this season.